There is nothing that makes a child smile more then the pure enjoyment of rocking in their own kid sized rocking chair except for maybe a puppy. 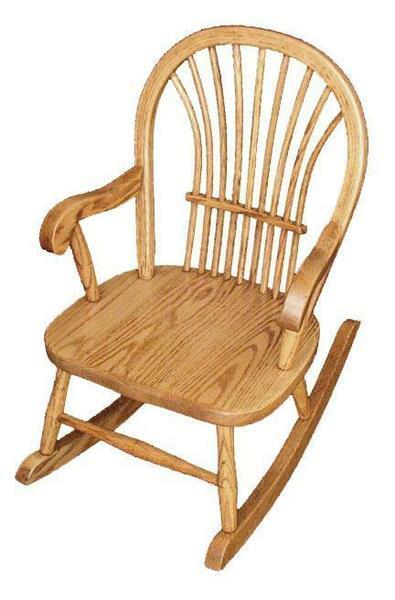 This country style child's rocker is Amish handcrafted from hardwood and sure to become a treasured family heirloom. Make sure your child is a part of conversations and fun in the living room when having family over. Our solid wood kid's rocker will be able bring the family together! We also offer Amish made toys and games. 16" x 24" x 26"